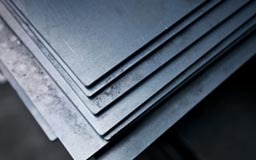 We Numax Steels widely acclaimed name as an efficient and effective supplier and retailer specialize in Manufacturing, Importing, Exporting a premium quality wide assortment of Carbon Steel Sheets, Plates & Coils. Being corrosion resistant, these Carbon Steel are extensively used in commercial and residential purposes as well as structural and mechanical & general engineering purposes. Our CS sheets, Plates & Coils has some of important features like Rust free, Rugged design, Durability etc. After the manufacturing, our quality controllers thoroughly inspect these CS Sheets, Plates & Coils at various levels to deliver a defect fee range without any imperfection. 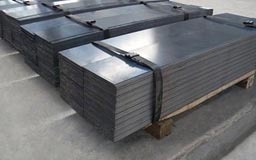 We also offer highly customized Carbon steel Sheets, plates & Coils to our customers and provide them in different grades like, low carbon grade, high carbon grade and straight grade that meets the specific requirements of the clients as per their application need. 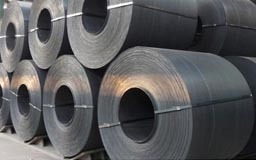 Carbon Steel Perforated Sheet, Carbon Chequered Plate, Carbon A36 Sheet, Carbon A516 Coils, Carbon Steel Foils & Coils Supplier & Exporter in India. Kaduna, Lebanon, Tunisia, Ibadan, Trinidad and Tobago, New Zealand, Israel, Bahrain, Cape Town, Dar es Salaam, Russia, Morocco, United States, Port Harcourt, Democratic Republic of the Congo, Rabat, Uganda, Kolwezi, Pretoria, Saudi Arabia, Abu Dhabi, Cairo, Nigeria, Oman, Cyprus, Vietnam, Brazil, Casablanca, Jordan, Johannesburg, Africa, Iran, UAE, Addis Ababa, Mozambique, Cameroon, Bamako, Alexandria, Douala, Kano, Mexico, Yaoundé, Colombo, Venezuela, Ghana, London, Ethiopa, Abidjan, Lagos, Lubumbashi, Benin, Kinshasa, Ouagadougou, Bulawayo, Singapore, Houston, Tripoli, Zaria, Qatar, Angola, Italy, Kampala, Port Elizabeth, Giza, Dubai, Maputo, Kazakhstan, UK, Harare, Turkey, Iraq, Kuwait, Maiduguri, South Africa, Colombia, Azerbaijan, Soweto, Hong Kong, Thailand (Bangkok), Algiers, Yemen, Peru, Algeria, Conakry, Malaysia, Argentina, Australia, Khartoum, Brazzaville, Indonesia, Mogadishu, Germany, Sudan, Chine, Nairobi, Freetown, Accra, Dakar, Sri Lanka, Luanda, Subra al-Haymah, Durban, Canada, Egypt, Omdurman, Mbuji-Mayi, Fez, Antananarivo, New York. Harare, Puducherry, Ambala, Cairo, Ahmedabad, Sadar, Conakry, Brazzaville, Lebanon, Cyprus, Andhra Pradesh, Bhiwadi, Nairobi, Chennai, Freetown, Baraut, Yaoundé, Lagos, Nagapattinam, Port Harcourt, Benin, Benin, Rabat, Oman, Buxar, Soweto, Hyderabad, Ouagadougou, Ethiopa, Mumbai, Colombo, Singapore, Ghana, Dar es Salaam, Cape Town, Delhi, Port Elizabeth, Lubumbashi, Jordan, Karnataka, Bangalore, Hong Kong, Mizoram, Kolkata, Uganda, Mogadishu, Jamalpur, Miryalaguda, Mozambique, Maputo, Algiers, Pretoria, Angola, Kolwezi, Subra al-Haymah, Alexandria, Kaduna, Antananarivo, Russia, Cameroon, Casablanca, Dakar, Omdurman, Maharashtra, Venezuela, Jaipur, Durban, Bundi, Bansberia, Mbuji-Mayi, Khartoum, Tripura, Fez, Surat, Abidjan, Johannesburg, Ballia, Tadepalligudem, Kano, Douala, Abu Dhabi, Zaria, Morocco, Accra, Maiduguri, Suryapet, Giza, India, Bulawayo, Manipur, Tripoli, Algeria, Kampala, Ibadan, Luanda, Kerala, Pune, Betul, Yemen, Kinshasa, Thailand (Bangkok), Democratic Republic of the Congo, New York, Udgir, Bamako, Muktsar, Addis Ababa, Lucknow, Qatar.